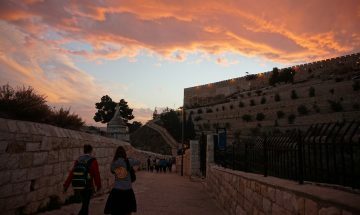 This page is here to inform you about the KISI work in Israel. You will find out what we are doing, what's happening next, who's behind the scenes – and much more. KISI is originally from Austria. Here you will learn how it came to Israel. 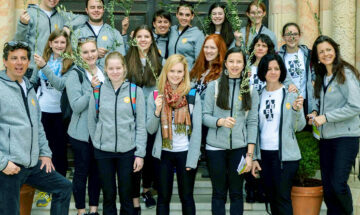 KISI for the first time travelled to Israel with a bigger group. So the fascination for our country spread among the KISI members. Marianna Gol, the current leader of the KISI work in Israel, spoke at KISI-Fest, was fascinated by the concept of combining activities for children of all ages and in the following years formed a team which worked to establish KISI in Israel. 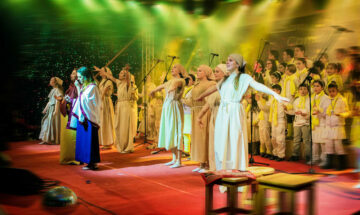 the KISI work in Israel got started: A group from Israel attended the KISI-Fest in Austria, there was a musical camp in autumn and in December more than 100 people from Austria came to Israel to perform together with the Israeli group. during Passover a group from KISI Austria visited the KISI group in Israel and they performed together. Currently there is a group meeting weekly in Beer Sheva. Enthusiastic children's voices, impressive acting scenes, dynamic choreographies and a profound message – those things are what make a KISI musical so special. We perform musicals based on different biblical stories and daily life themes, such as hope or friendship. We also put on concerts only consisting of songs. This is our way of sharing the empowering message of Jesus with the world. We love spreading the gospel on stage, but what we love even more is to celebrate mass with other fellow Christians and to praise God with our songs. If you invite us, we are happy to provide you with musical arrangements during mass. KISI CLUBs are local KISI groups that meet regularly, sing together and try to understand the content of the KISI songs in a fun way. They continue to bring new hope and joy to people in their surroundings – with small concerts in retirement homes or during church services. You are looking for a KISI activity that's currently not available in Israel? Don't worry, just let us know and we will try to make it happen in cooperation with KISI from another nation. The pinnacle of God's story of salvation with the people was the birth of the saviour – Jesus. From Elisabeth and Zechariah via Mary and Gabriel, the moments leading up to this amazing event are portrayed in a completely new and different way – from the point of view of the stars. You like what KISI does in Israel and want to support it? That's fantastic. You can help us through donations, prayer or volunteering. Thank you that you want to financially support the KISI work in Israel. There's a lot to prepare: food for the kids and various other things that are not for free. Transportation, technical eqipment and much more we need to perform our musical. You want to support that? Do you want to support us in prayer? Thank you, we appreciate that very much! Would you mind writing us an email to let us know? Then knowing about your prayer support can encourage us and we have the possibility to send you important prayer requests from time to time. Fantastic – you‘re willing to volunteer in the project? If you want to know more about the KISI activities in Israel, don't hesitate to contact us. Do you wanna hear from us on a regular basis? Then have a look at the social media profiles of KISI International.